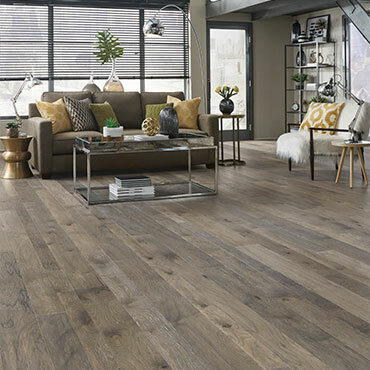 Mannington Hardwood Flooring has a UltraWear® Plus finish with ScratchResist™ adds a heavy-duty wear surface that never requires waxing or refinishing. 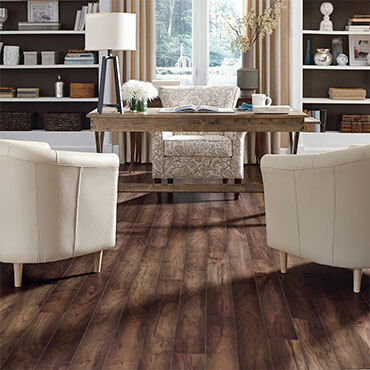 Your Mannington Hardwood Flooring with UltraWear® Plus finish not only makes your space easy to maintain, but provides superior resistance to day to day household scratches. 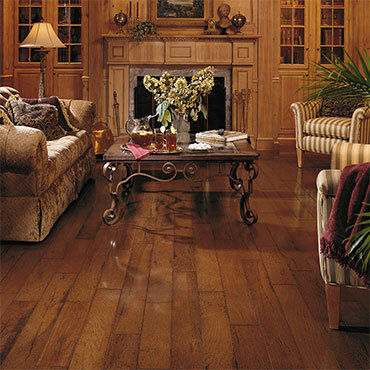 Mannington Hardwood Flooring is manufactured with the finest hardwoods. They use only premium select wood species for their top face and 100% North American hardwoods for their inner plies for beauty and toughness that shows. 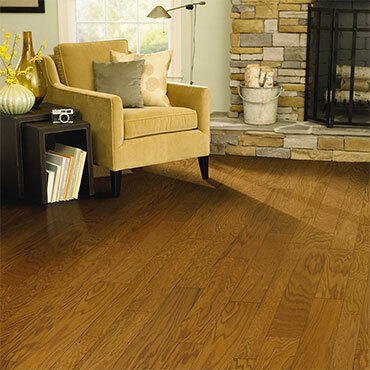 The look of your room will depend on the species of tree from which it is produced. Each wood species has its own unique grain pattern. The prominent grain of oak, for instance, would never be mistaken for the more delicate grain of maple. This manufacturer offers many different species, each offering its own distinctive appearance. 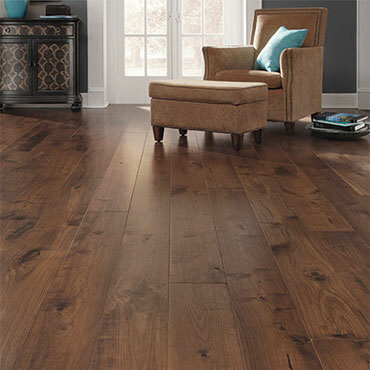 This product has a 5-ply, cross-grain construction that makes every plank far superior than a single, solid piece of wood. There's strength in numbers. Every plank is constructed with five plies for optimum strength and durability. Each ply is laid cross-grain to those above and beneath it. With each ply reinforcing the next, and with the strongest resins bonding all layers together, the combined result is far stronger than a single solid piece of wood. They warrants that they won't warp or buckle. This product offers the UltraFit™ tongue & groove system. Being precision engineered using diamond-tip tooling means consumers get a consistent and stable fit whether the installation is glue down, staple, nail, or a floating system. They offer a 7-step UltraWear® Plus finish with ScratchResist.™ This is a polyurethane/aluminum oxide finish that provides unsurpassed resistance to normal wear. Each UltraWear® Plus process is an ultraviolet cured development that they pioneered. It provides their solvent-free finishes wear and scuff resistance along with richness of color and clarity consumers just can't get any other way. 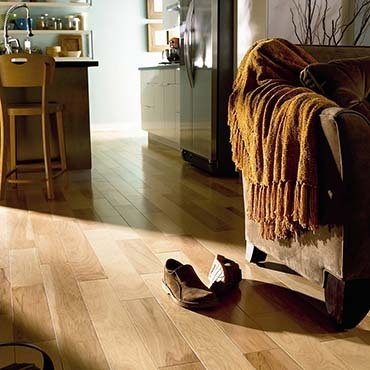 All their planks are available with ScratchResist™ which helps to guard against fine scratches that dull the finish. Most products are made to be installed practically anywhere of your home. Installation can be on, above, or below ground level. 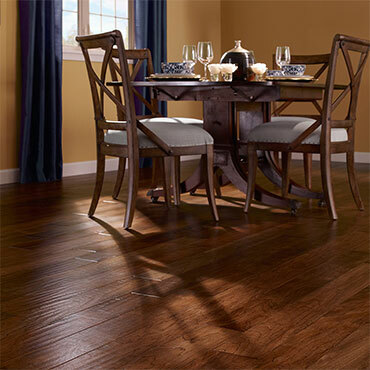 They can be installed in kitchens, basements, attics - places where run of the mill solid wood planks can't stand up. Along with outstanding durability, their UltraWear® polyurethane finish provides a long-term shield against normal wear and scuffs. 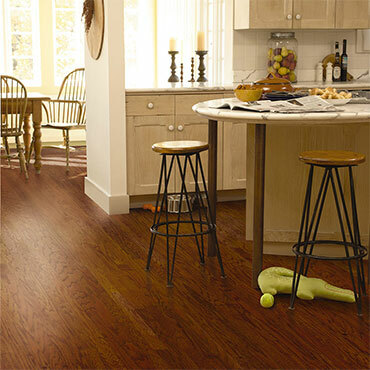 Just follow their simple maintenance techniques like regularly sweeping or vacuuming, cleaning spills quickly, and tactically introducing mats, area rugs, and casters. No damp mopping is required. 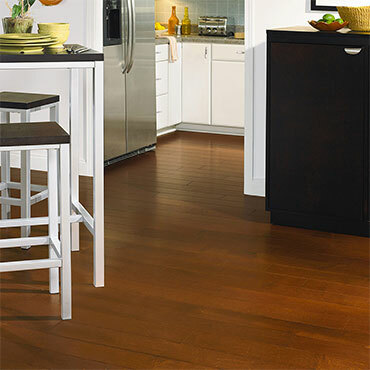 When selecting a style one of three gloss levels should be selected to match the anticipated foot traffic. A high gloss finish is appropriate for low-traffic areas such as dining rooms, living rooms, and bedrooms. A semi-gloss finish is ideal for moderate-to-high traffic areas such as family rooms. And a satin finish is suitable for high-traffic areas including kitchens and dens. It takes more than twice as many trees to produce a traditional solid wood plank as it does to produce a engineered plank. Plus they use water-based stains and finishes that don't have harsh chemicals or solvents, and their adhesive system is formaldehyde-free.